Posted on September 3, 2017 by Nick France / This entry was posted in Featured Artists, Music and tagged Caroline Jones, features artist. Bookmark the permalink. Caroline Jones – featured artist, is an independent singer/songwriter, multi-instrumentalist, and Sirius XM host who co-produced her country EP, Bare Feet, with Grammy and Academy Award-winning producer Ric Wake (Mariah Carey, Celine Dion, Whitney Houston, Trisha Yearwood). Available on iTunes, the Bare Feet EP, released on Aug. 25, 2017 features the single “Tough Guys,” which spent five weeks at #1 on CMT.com’s 12 Pack Countdown, and “Brown Eyed Girl,” which is in rotation on Sirius XM’s Coffee House channel. 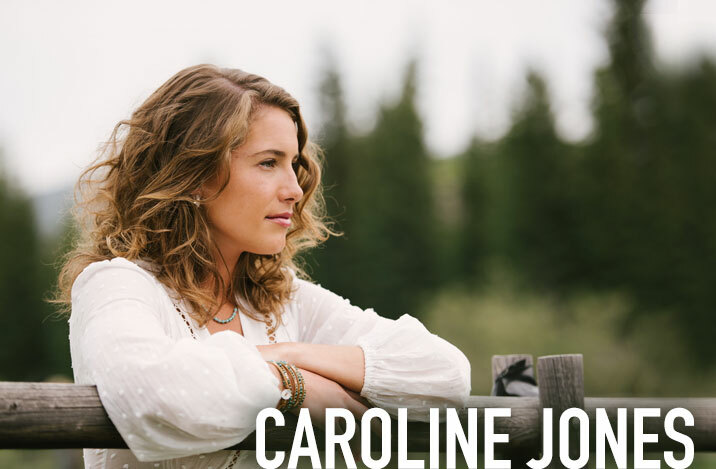 Caroline was recently named one of Rolling Stone’s “10 Country Artists You Need to Know,” and lauded for single-handedly performing the guitar, banjo, harmonica, keyboards, and lap steel on Bare Feet. She is currently on the road supporting Zac Brown Band on their Welcome Home Tour. Few music artists share the breadth and depth of Caroline Jones who can slip on a guitar to deliver a little country twang, but who has performed at the prestigious Carnegie Hall, Lincoln Center, and Juilliard. She has toured countless schools and universities sharing her “The Heart is Smart” initiative to promote creative expression through music. Jones took The Heart is Smart on tour alongside motivational speaker Stedman Graham and The Sonima Foundation, to deliver the program to more than a hundred schools and underserved communities. If all of that is not enough, Caroline is also a radio show host for Sirius XM’s “Art & Soul,” a bi-monthly broadcast which airs on The Coffee House channel. During each show, Jones digs into the craft of songwriting to reveal the “soul of the song”. Meet Caroline Jones, if you haven’t already, our featured artist for this month … enjoy!